You are welcome to share my space which is homely and decorated with care. Stylish period furniture blended with contemporary paintings and sculptures create a comfortable and serene atmosphere. Whether you come to work, study or sightsee, my home offers everything you need for a convenient stay, close to amenities, public transport, nature walks, Whitstable & London easily accessible. 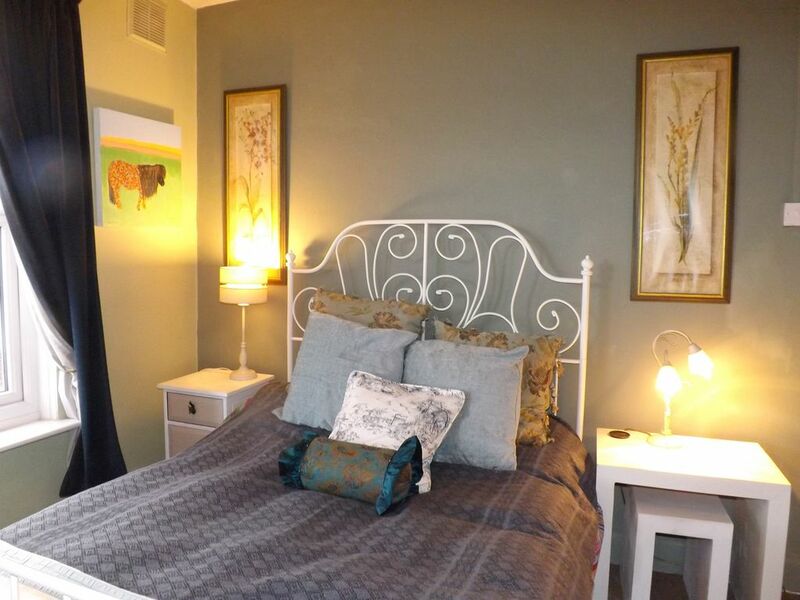 One room with double bed, Tv & a great view, another bright & attractive room has a double bed & sofa bed. Your room will be warm and cosy with a shared bathroom. Optional breakfast. A pretty garden for coffee on sunny days or a peaceful retreat to enjoy the sunset. The location is close to both Gillingham & Chatham centres. Suitable for contract workers, holiday makers, hospital employees, all love it equally. I'm a keen walker & practice yoga & both activities are easily accessible in the area. I used to own a gallery and have incorporated many artworks into the decoration of my space which can be best described as Boho! A unique in and tranquil experience in an area full of historic interest. Rochester Castle and Cathedral 4 miles away, Chatham Historic Dockyard with its galleries and studio workshops only 2 miles. Ideally located for locum doctors, Medway Maritime hospital is just around the corner. One bedroom has private TV and video. There are some childrens books and toys available. The house is not really suitable for under 2 yr olds.